For a full list of Caroline’s historical walks (including an Askew Road walk) as well as her publications, visit her website on www.westlondonwalks.co.uk. By the 1880s the orchards and open fields of Hammersmith were giving way to terraces of houses for workers and their families. The Ecclesiastical Commissioners offered four acres of land adjacent to the newly built St Saviour’s Church and Vicarage to the Vestry of Hammersmith (who were the predecessors of the local council). In return they were required to enclose the park with metal fencing and pave the surrounding roads. The cost of this was rather more than the Vestry had anticipated and the London County Council was approached for additional financial help. There was no formal opening ceremony when the park opened in 1896 and within a few months Vestry minutes record that it was “well attended and much enjoyed by the community of that locality”. There was one playground for boys, a separate one for girls and the park keeper was assisted by several gardeners. During the Second World War an underground public air raid shelter was dug in the park, the entrance was in the current dog exercise area and ran some way under the central grass area. It was sealed off after the war. By the 1950s the play area was on the eastern side of the park between the wall and path running between Cobbold and Wendell Roads. 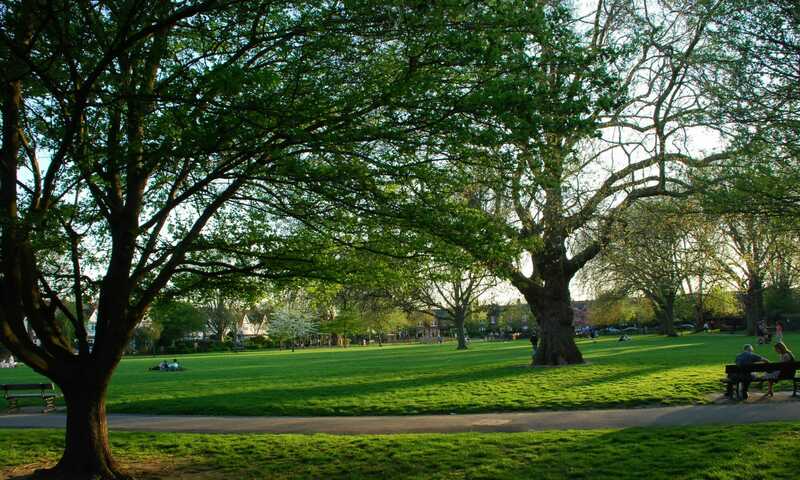 The park continues to be the responsibility of Hammersmith and Fulham Council who have ensured that trees and bushes are pruned and replaced, the flower beds are maintained and replanted and improvements made to the children’s play area. Today one Council gardener working on a part-time basis is responsible for the general maintenance and safety of the park which continues to give pleasure to local residents and their canine friends.